A collaborative research team has linked the development of castration-resistant prostate cancer and resistance to treatment to a lack of androgen receptor expression in prostate cancer cells, identifying a new therapeutic target for one of the deadliest forms of cancer among men. The American Association for Cancer Research will award the ninth annual AACR Team Science Award to the Designing Androgen Receptor (AR) Inhibitors Team from Memorial Sloan Kettering Cancer Center and the University of California, Los Angeles at the AACR Annual Meeting 2015, to be held in Philadelphia, April 18-22. The androgen receptor in prostate cancer cells can activate different sets of genes depending on whether it binds with an androgen hormone or an antiandrogen drug, according to a new study led by researchers at The Ohio State University Comprehensive Cancer Center - Arthur G. James Cancer Hospital and Richard J. Solove Research Institute. Mayo Clinic researchers have shed light on a new mechanism by which prostate cancer develops in men. Central to development of nearly all prostate cancer cases are malfunctions in the androgen receptor - the cellular component that binds to male hormones. Tracking the genetic pathway of a disease offers a powerful, new approach to drug discovery, according to scientists at the University of California, San Diego School of Medicine who used the approach to uncover a potential treatment for prostate cancer, using a drug currently marketed for congestive heart failure. Their findings are published in the current online issue of the Proceedings of the National Academy of Sciences. Tokai Pharmaceuticals, a biopharmaceutical company focused on developing new treatments for prostate cancer, today announced that it has raised $23 million in a Series D3 financing. An experimental drug is showing promise for the treatment of men with an aggressive form of advanced prostate cancer. A new multicenter study has concluded that the targeted therapy MDV3100 is safe and effective for patients with castration-resistant prostate cancer, known for its poor prognosis and limited treatment options. 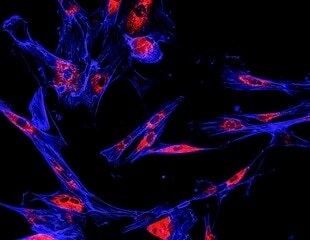 In a paper published online this week in Science Express (the online version of Science magazine), researchers report that early clinical trials for two compounds, MDV3100 and RD162, show initial promise for patients suffering from an advanced metastatic form of the disease known as castration-resistant prostate cancer. A new multi-center study shows that an experimental drug lowers prostate specific antigen (PSA) levels – a marker for tumor growth – in men with advanced prostate cancer for whom traditional treatment options have failed. A new therapy for metastatic prostate cancer has shown considerable promise in early clinical trials involving patients whose disease has become resistant to current drugs. The Endocrine Society has released new clinical practice guidelines for the treatment of hirsutism in premenopausal women. The guidelines appear in the April issue of the Journal of Clinical Endocrinology & Metabolism (JCEM), a publication of The Endocrine Society. For prostate cancer patients whose tumors have continued to grow despite medical or surgical castration, a new drug candidate that inhibits production of male hormones anywhere in the body is showing promise in early trials. A new study finds that a cancer vaccine combined with hormone-deprivation therapy can help patients with recurrence of prostate cancer. The results of this clinical trial, led by scientists at the National Cancer Institute (NCI), part of the National Institutes of Health, appear in the August 2005 issue of the Journal of Urology.